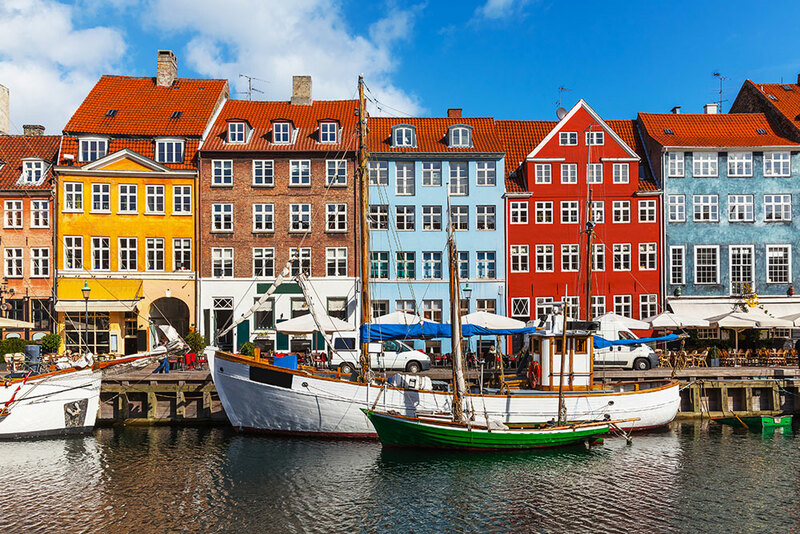 With everything from culture, cycling, and castles to award-winning cuisine – it’s no wonder Copenhagen is said the be the happiest city in the world, and being only a couple of hours from the UK, we decided to hop on a plane for a mini break and find out for ourselves what this great city has to offer. 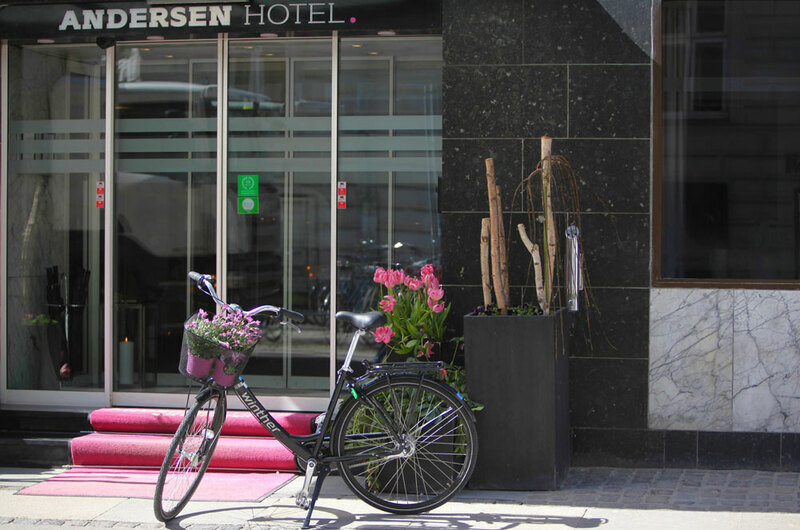 We were staying at The Andersen Hotel, a boutique hotel located in Vesterbro in the heart of Copenhagen;just a few minutes walk from the central train station. 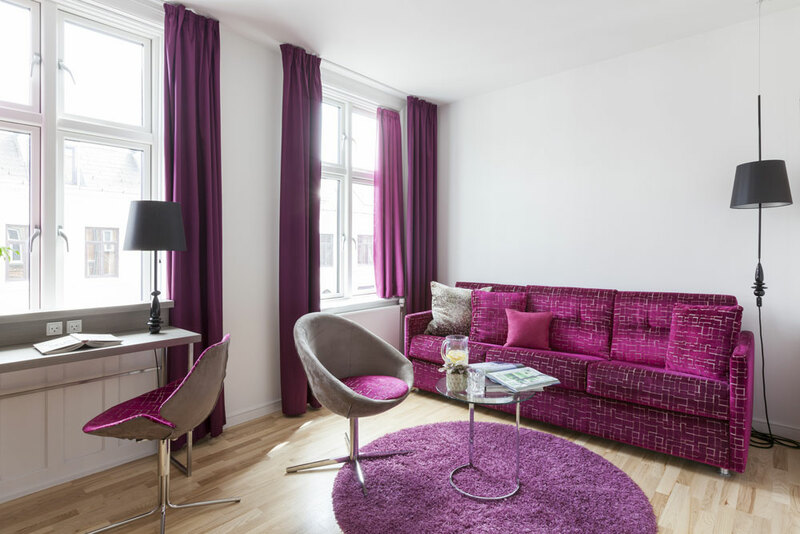 Vesterbro, is an eclectic mix of designer boutiques, restaurants, coffee shops and bars and is the perfect base for exploring, whether on foot, bike (Copenhagen has one of the world’s most dedicated bike cultures. In fact, the city has more bicycles than people) orpublic transport, (make the most out of your trip and get a Copenhagen Card, this gives you free admission to over 80 attractions, free transport on trains, metro and buses in the Copenhagen region and discounts in shops, bars and restaurants). 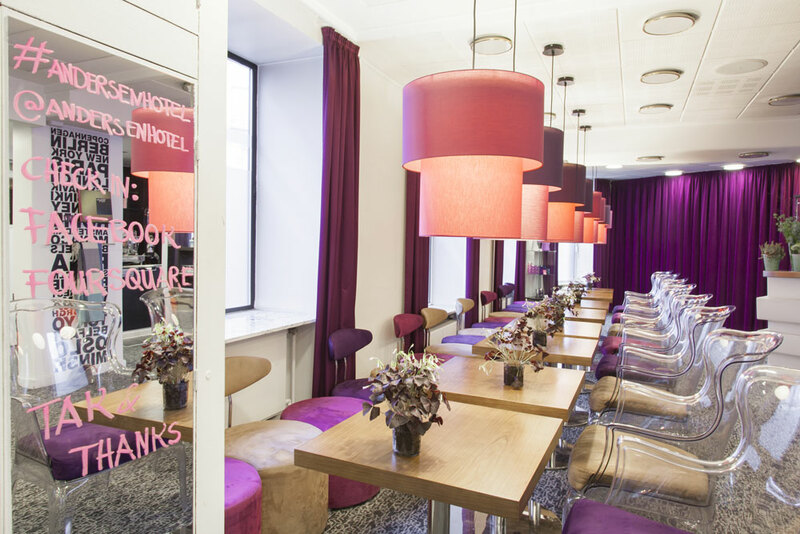 Having resisted the urge to pop into the patisserie full of the most delicious looking cakes, we stepped off the street into the lobby lounge of The Andersen Hotel. 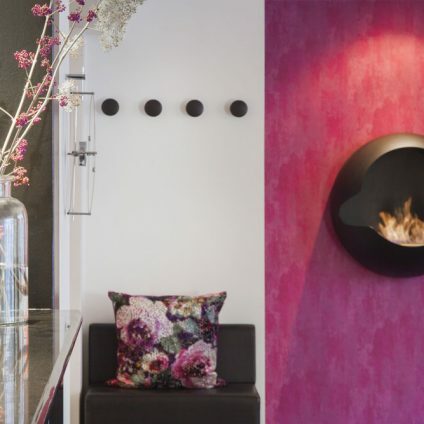 Feeling instantly warm and welcoming, the quirky modern fire burning away against a trendy colour palette of purple’s and pinks, immediately created a calming atmosphere. Large clear shaped plastic chairs with colourful cushions, are just crying out for you to sit down, grab a coffee (these are complimentary 24 hours) or something a little stronger from the honesty bar, sit back, relax, readthe papers, people watch or indulge in a game of chess with one of the giant resident Anderson Teddies. 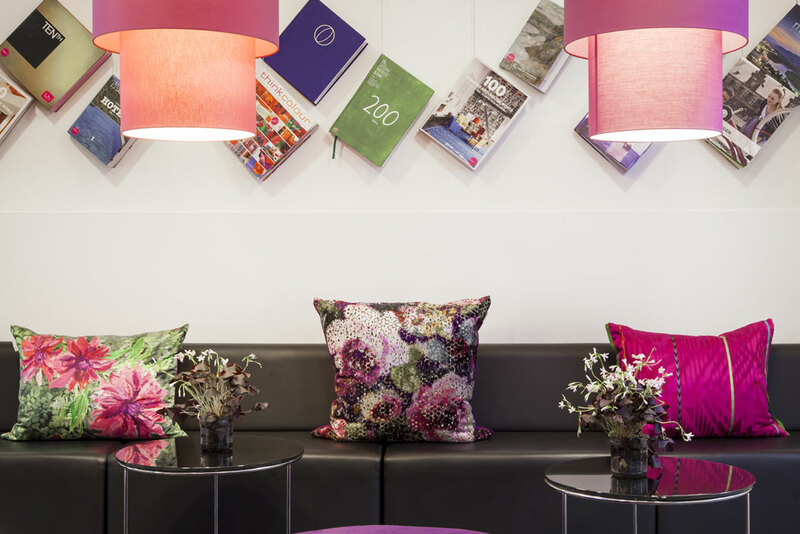 It’s not just the decor that makes you feel welcome, it’s also the staff who are friendly, knowledgeable and have an above and beyond attitude. 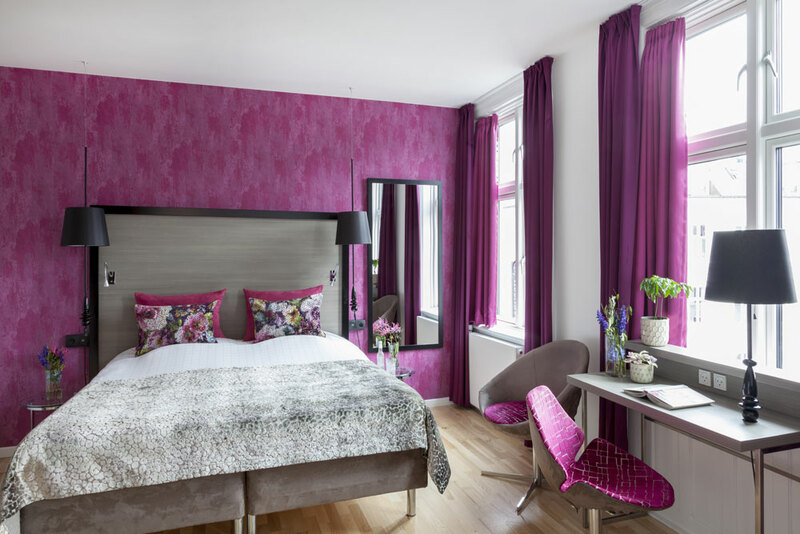 The hotel houses 69 rooms and suites all uniquely decoratedwith feature wallpaper, cushions and curtains by international brandDesigners Guild. 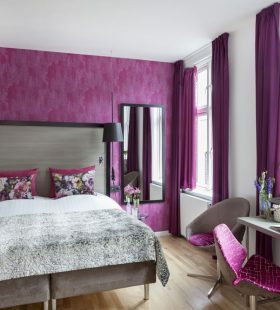 There are three different colour schemes – Princess (a stunning combination of vibrant purple and striking fuchsia providing an elegant, yet warm atmosphere). Mermaid, (shades of vivid turquoise and lime reflect the soothing elements of water) and Emperor, (calming blue and rich magenta add a touch of almost regal luxury) and thenthere’s the different room types there’s no classic or deluxe here it’s Cool, Brilliant, Wonderful and Amazing. 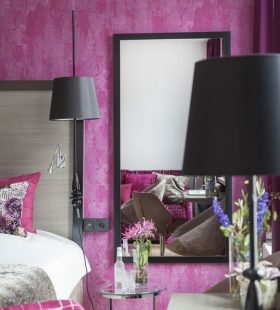 We were lucky enough to be staying in an ‘Amazing’ Junior suite decorated in the Princess designs of fuchsia and pinks. 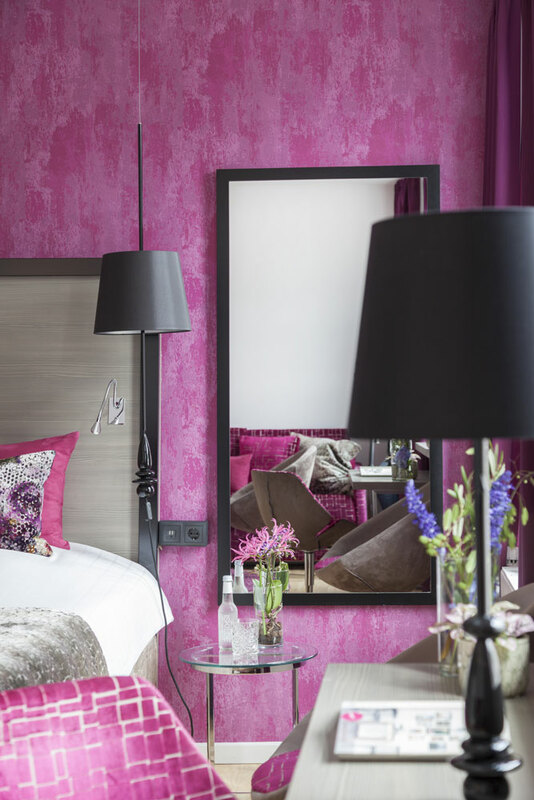 A feature wall lined with fuchsiawallpaperwas the perfect backdrop for the white linen on the bed and pretty floral cushions accessorised perfectly. 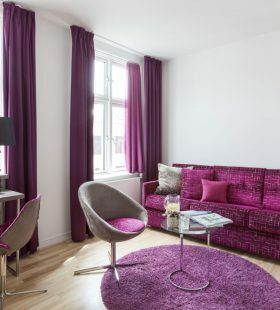 A large sitting area with a magenta velvet sofa and swivel chair, were both stylish and comfy and the neutral floor was accessorised with a large fluffy fuchsia rug. Soft lighting around the room, fast internet connection, flat screen TV and a nespresso coffee machine were the finishing touches that created a luxurious, stylish look. Clean white brick shaped tiles adorned the bathroom walls, Molten Brown toiletries sat upon the shelf and a large bath with over shower even offered you, your own quirky Andersen rubber duck which you are free to take home as a souvenir. There was just time to quickly unpack before heading back down to the lobby lounge for wine hour! 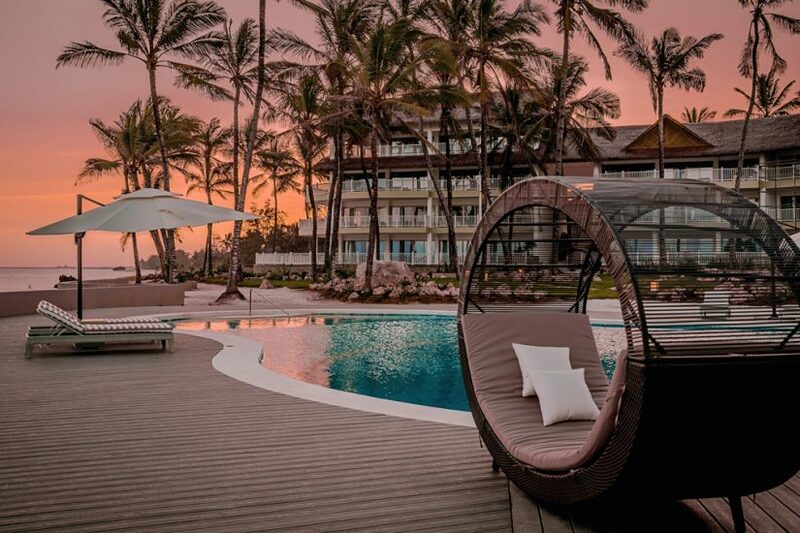 A relaxing hour (5pm – 6pm) to enjoy a complimentary glass or two of wine, whilst unwinding in the lobby lounge, planning your next day, chilling or chatting with other guests. 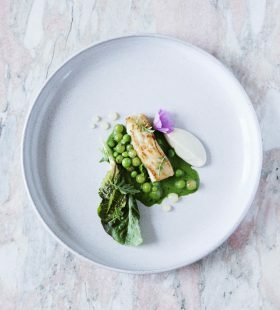 Although the hotel has a restaurant for you to enjoy breakfast, it doesn’t serve any other meals, which is just perfect for all the foodies amongst us who want to explore the culinary delights of Copenhagen, of which there are many. 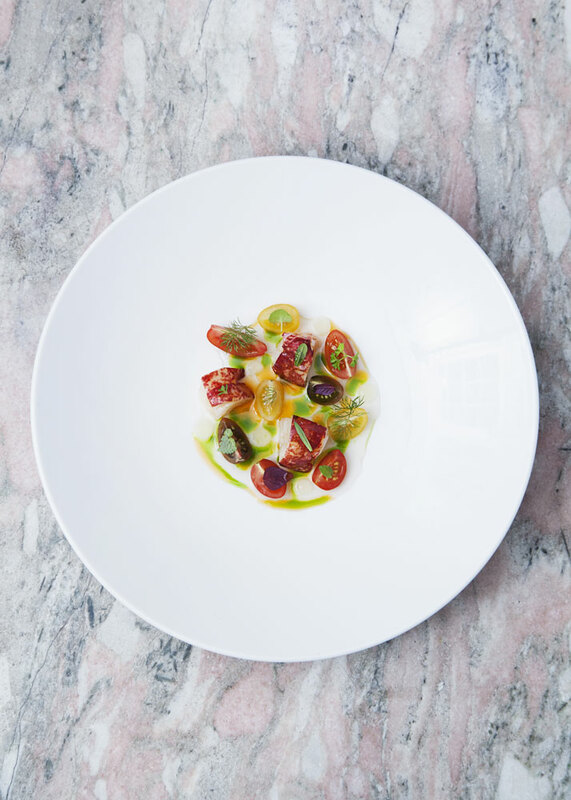 Set in one of Copenhagen’s most beautiful royal gardens is Mielcke & Hurtigkarl restaurant. 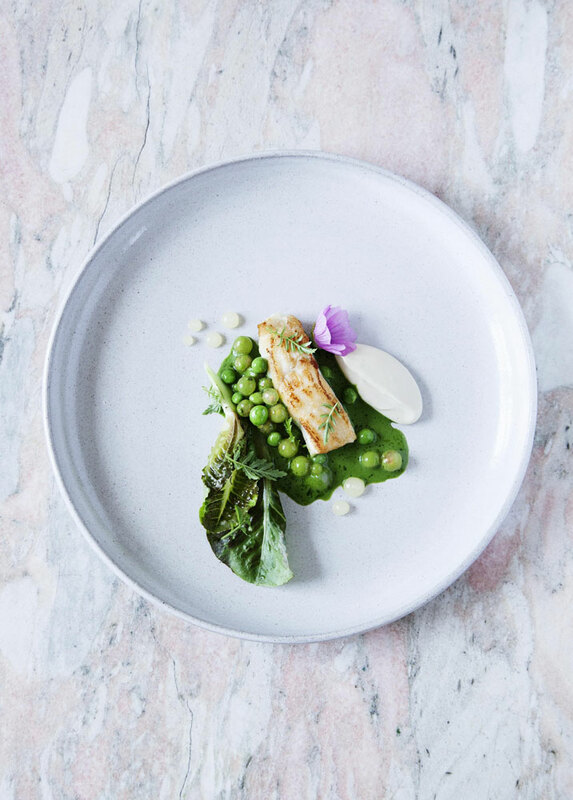 The Royal Danish Horticultural Garden Society provides a stunning backdrop for some innovative food and I would say it’s worth flying to Copenhagen just to experience the delights that are on offer here. 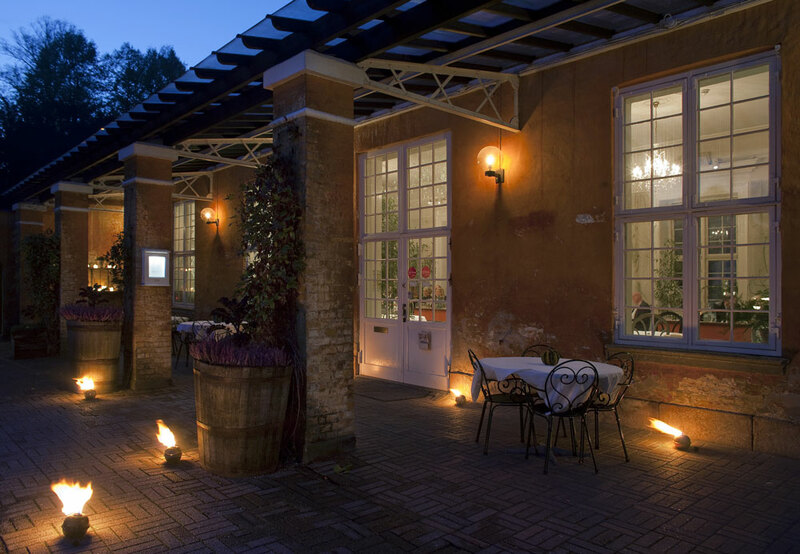 A beautifully lit tree lined avenue leads us to the gates with lanterns lighting the way to the restaurants entrance. 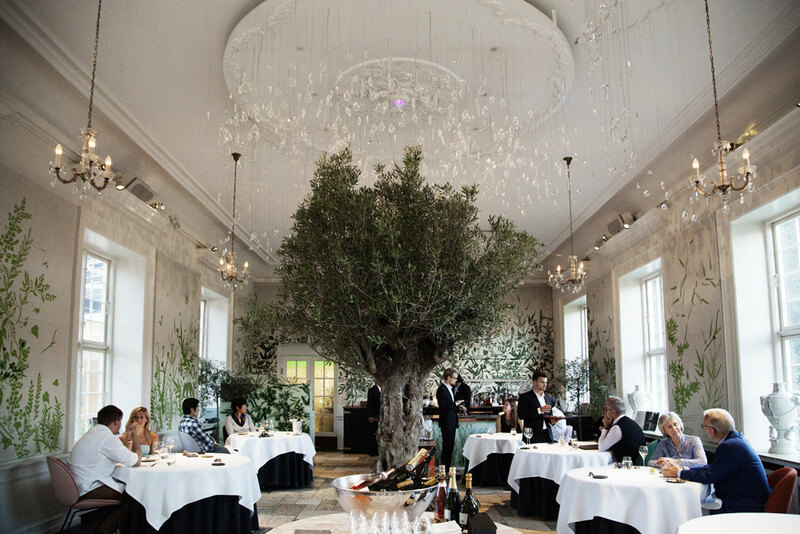 An enormous Pavilion, with botanical murals a large solitary tree in the middle of the room, glittering crystals shining above and elegant gold chandeliers hanging from the high ceilings, all come together to create the perfect atmosphere to enjoy an amazing dining experience. A welcome glass of Sousa champagne set us up for what was going to be a taste sensation extraordinaire. 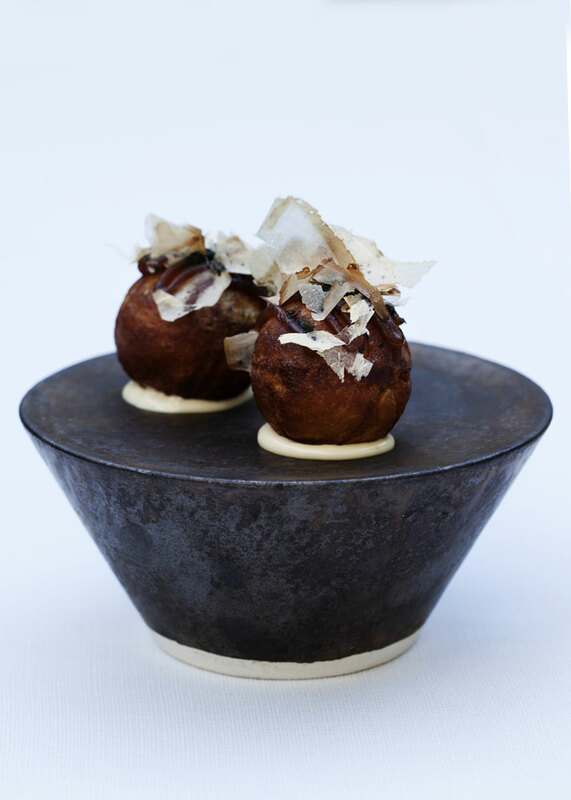 Mixing traditional Scandinavian ingredients together to create some of the finest dishes you’ve ever tasted. Dishes included langoustine in a shiso and lime dressing, scallops served with green strawberries and presented on a bed of sea shells, fresh and delicate oysters, and lemon sole with kombu and a razor thin slice of chicken skin, The textures, tastes and presentation of all these dishes are categorized as a work of art in all forms,and the accompanying wines made sure the whole food flight was one of true indulgent enjoyment. 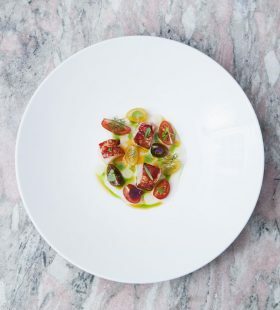 Staff were knowledgeable, and friendly and explained each dish before leaving you to savour the delights on your plate. The delicate oxtail accompanied with a plum sauce was a particular favourite and the wild duck, smoked goose breast and salted pancetta slices were so tender they literally melted in the mouth, it’s no surprise the meat is so fresh as the chef hunts most of it himself. 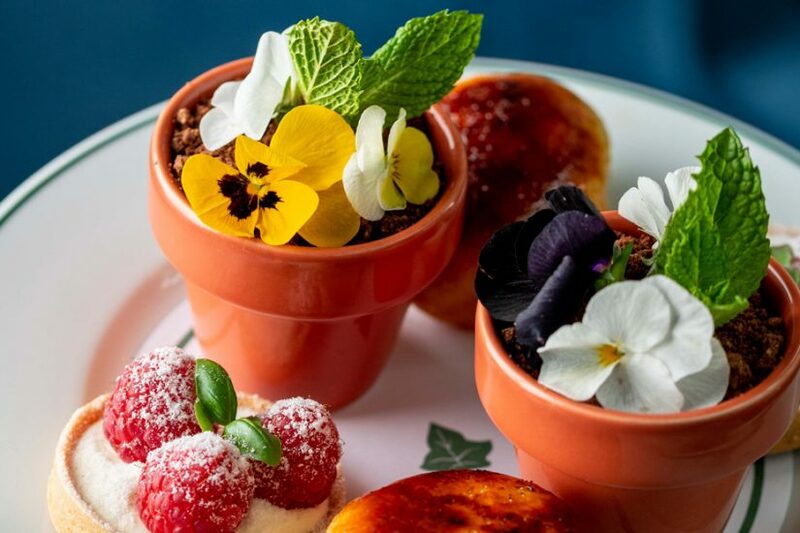 Following these savoury dishes, the desserts followed, offering the same high standards of taste sensations on the palette. 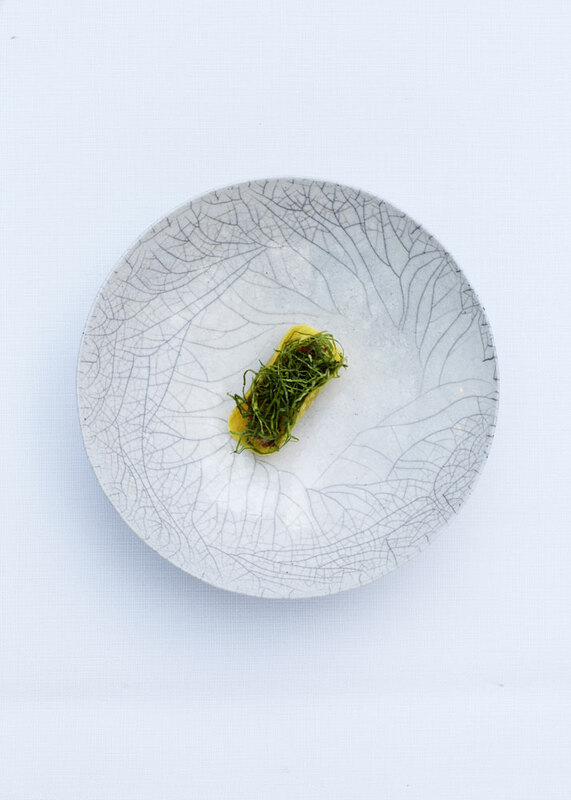 The aesthetics of the dishes, both in colour and style is a real testament to the individuality of the chef here, who’s pleasure comes from creating dishes that will leave you in awe of the next journey to hit your palette. 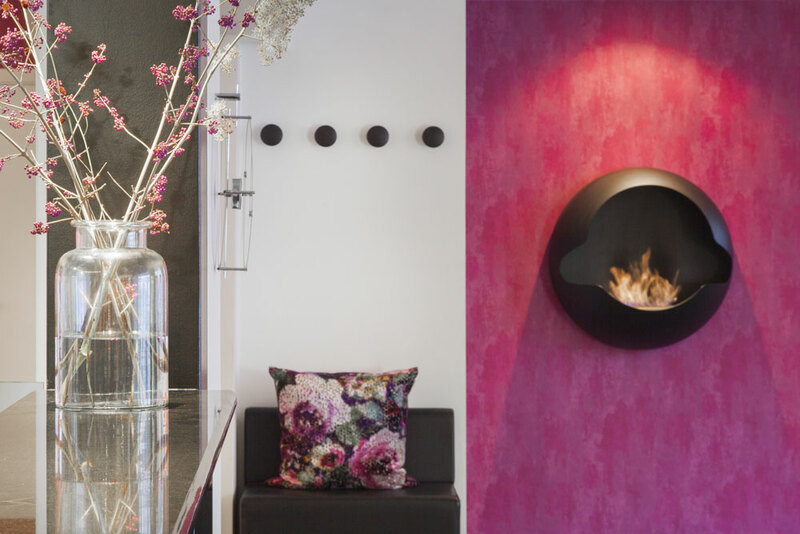 A short bus ride takes us back to The Anderson Hotel (the Copenhagen Card is so handy) and we head up to our suite for a restful nights sleep. Next morning breakfast is served, just off the lobby in the dining area that’s hidden behind a curtain in the day. 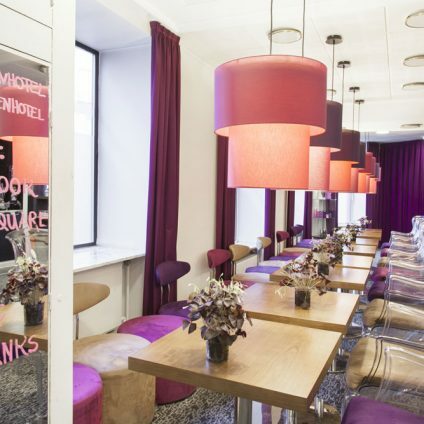 The same pink and purple theme follows through into and a buffet of cold meat and fish, pastries, salads, fruit, breads and eggs are all there for you to help yourself to. There’s so much to see and do in Copenhagen if you’re unsure just ask the staff and they are more than happy to advise you. 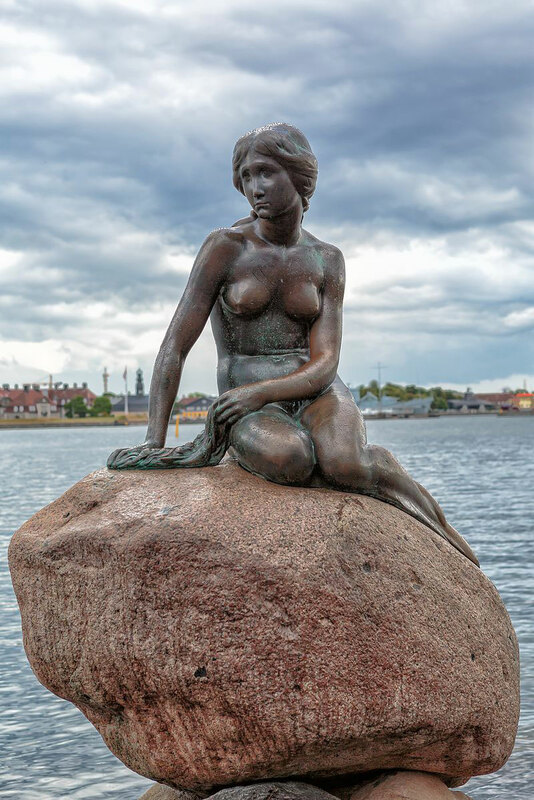 We visited some fabulous places including the famous “The Little Mermaid” an amazing bronze statue inspired by Hans Christian Andersen’s fairy tale about a mermaid who gives up everything to be united with a young, handsome prince on land. The National Aquarium (included in your Copenhagen Card), The idea is to give visitors a feeling of being under water and is Northern Europe’s largest Aquarium There are five sections to visit including Ocean tank and The Coral reef, offering visitors a unique experience. 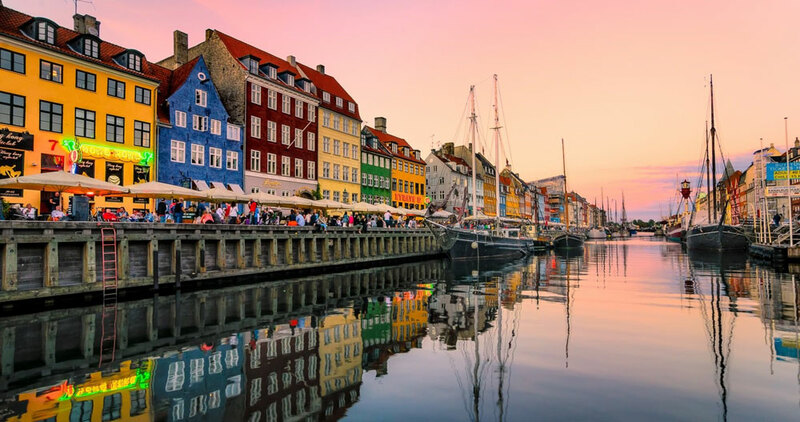 Nyhavn (New Harbour) is another must, this 17th century port is lined with beautiful old houses that have been renovated and house cafes, bars and restaurants. The oldest house here dates back to 1681, and the famous fairytale writer Hans Christian Anderson lived at number 20. In the summer you can sit outside on the harbour with a drink and watch the world and the boats go by, and in the colder months you can sit in one of the many restaurants in front of a roaring fire with a hot bowl of soup and look out over the picturesque harbour as we did. Tip: Don’t forget to get your Love Lock to attach to the bridge! Staying at The Andersen Hotel means you can maximise every bit of time you have until you have to check out with their uniqueCONCEPT24, put in simple terms the room is yours for 24 hours from check in to check out, so if you check in at 5pm you don’t have to check out until 5pm leaving you more valuable time to make the most of your time in Copenhagen. We visited Copenhagen in early March, which meant the weather was a little unpredictable and a couple of the attractions such as Tivoli Gardens, and Fredderiksborg Castle, weren’t open, which means we’ll just have to return for another visit. 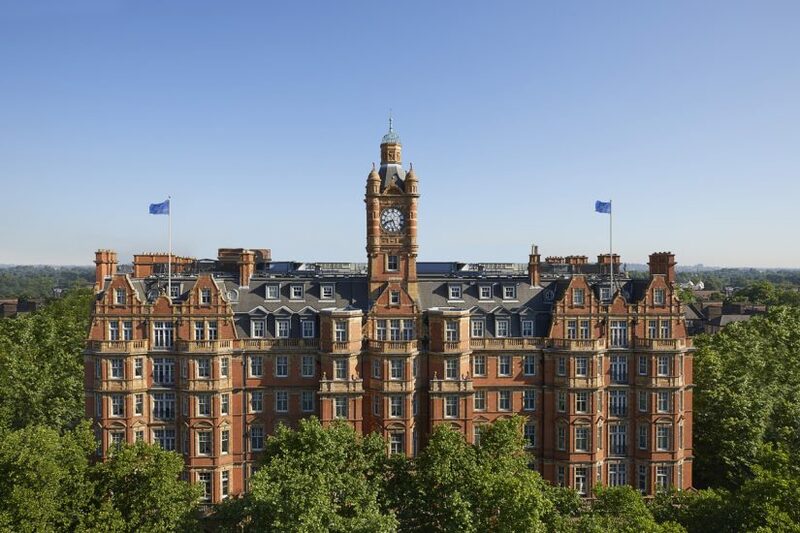 Andersen Hotel–Prices start from £140 per room, per night based on two people in a Cool Room including breakfast. 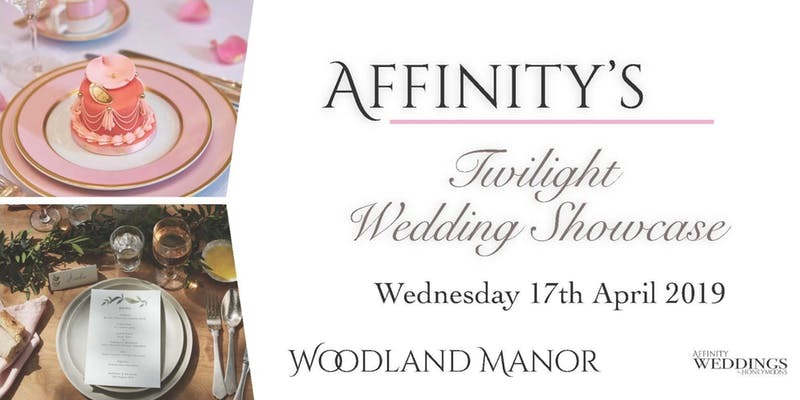 Prices start from £275 per room, per night based on two people sharing in an Amazing Junior Suite including breakfast. 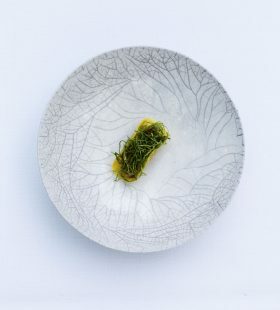 Mielcke&Hurtigkarl Restaurant – A tasting dinner with around 8 courses is priced from £113 per person. 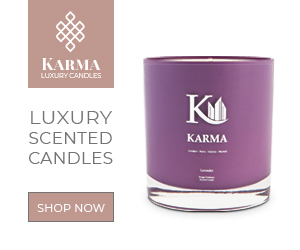 Open Tuesday – Saturday. Copenhagen Card –Available as a 24, 48, 72, or 120-hour card both for adults and children. Children aged 0-9 can go free when accompanying an adult with a Copenhagen Card. Children aged 10-15 need a child’s card. Prices start from £47.60 for an adult card and from £23.80 for a child card.